Hello blog world! This is my first blog post EVER! So, here it goes ... When I signed up for Pinterest, my goal wasn't to get hundreds of followers and likes, it was to have an excellent source for new recipes, DIY projects, and to ultimately feed my shopping addiction. So when I pinned a particular pin on Pinterest, and, as of today, 711 people repinned it, I was flabbergasted. That may not be a big number to some of you out there. But for little ol' me who has 63 Pinterest followers, it was huge! Modified from original recipe here. 1. Place all ingredients in a blender or food processor, and mix until smooth. Done. Easy-peasy. It's a thick dressing. If you prefer a more liquid consistency, add the filtered water. 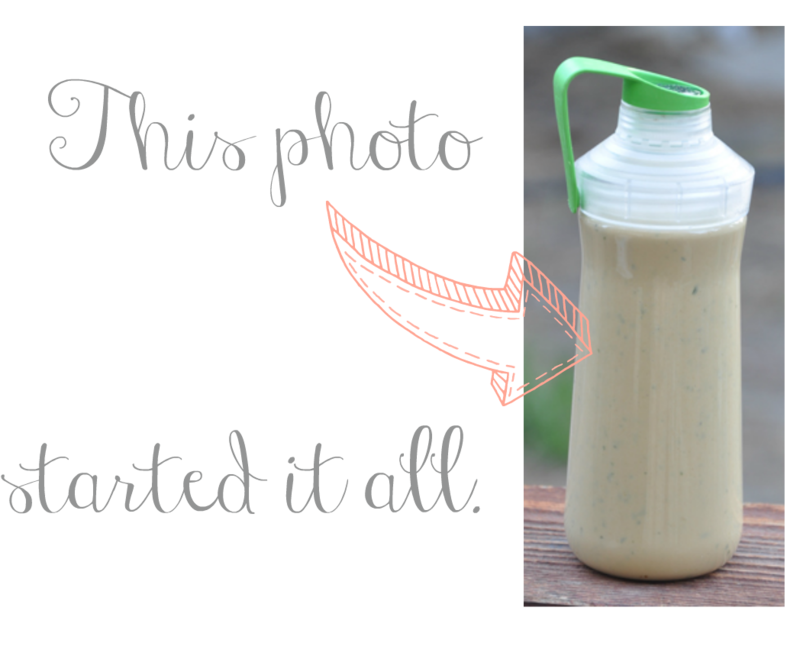 This is delicious over a salad, but like most salad dressings, it could be put on anything. I like it as a dip, too. Slather it on sweet potato chips or fresh veggies for a delicious, nutritious snack. I kept mine in a mason jar with a lid in the fridge. It didn't last long, however, because it was so yummy. But I would guess this could be kept refrigerated for a week or so. Keep in mind that if you use the coconut oil, it will harden a bit in the fridge, so let it come to room temperature before using. Thanks for reading! 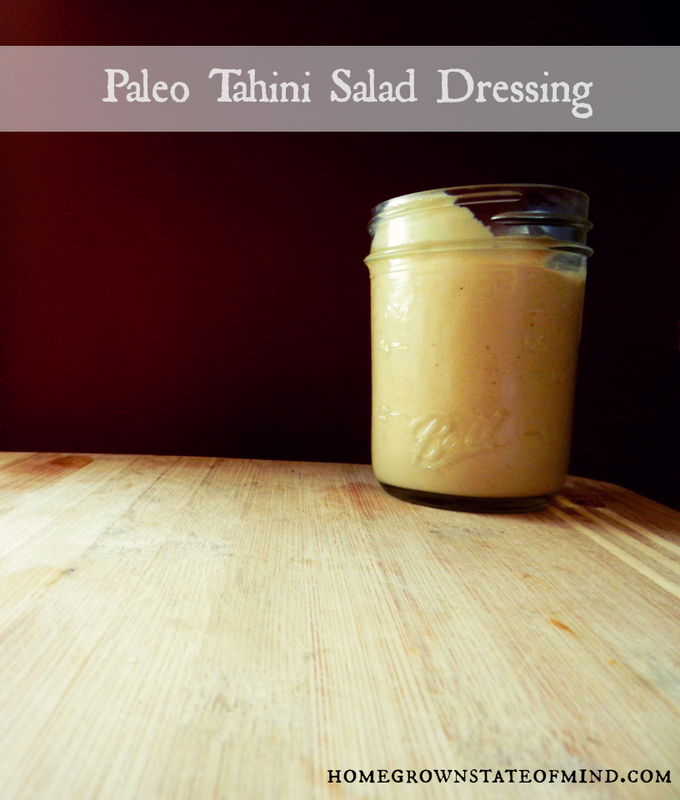 Do you have a go-to Paleo (or clean) salad dressing recipe? I'm linking up with A Southern Fairytale this week for Mouthwatering Mondays, and The Baking Beauties with Allergy Free Alaska for the Gluten Free and DIY Tuesday Link Up. Check them out! 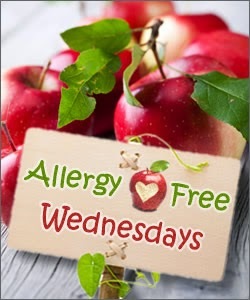 Also, I'm linking up with Tessa the Domestic Diva for Allergy Free Wednesdays, Katie Did What for Healthy Habits Thursday and Yes Deer for Southern Gals Throwback Thursday link up! Yummm that sounds seriously delish! I'll have to try. And congrats on starting a blog!!! It is seriously so much fun. Love to be in, on the ground floor, and always in the market for bloggers who are grain and sugar free (well, mostly.) Primal/paleo rocks! Good luck! I've only recently found out about the Paleo lifestyle/diet (I live in Italy and it isn't really popular/talked about here!) and I'm so excited to try out this recipe... now I've got to go find all the stuff! Found you via 3 Southern Gals Throwback! Julie, I can't believe you've only been blogging like a week! 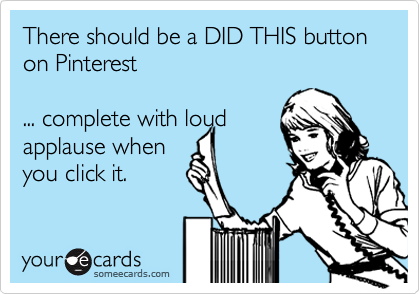 Pinterest is the bomb, and 700+ repins is awesome to me too. I completely agree with the appalause button, wouldn't that just be awesome?